Going into the 2014 midterms Republicans must be looking forward to a result that is predicted to be on par with the 2010 midterms. The GOP should hold the House, and win a majority in the Senate. These results are a good precursor as to how the second half of President Obama’s second term will unfold. Will he be relegated lame duck status or will he use the loss of the Senate to whip out his mighty pen and phone one two punch, and go around Congress with even more executive orders and Presidential fiats? Probably the later. If Vegas were setting those odds, they would be decisively in Obama’s favor. Which is not to say they would be in the country’s favor. Quite the opposite in fact. So this begs the question, what is the GOP going to do to reverse the far left lurch our nation has been subjected to over the last five years? Sure, the Republicans can use the power of the purse, and halt the most egregious of Obama’s overreach, and if there is any testicular fortitude in the old establishment GOP leaders perhaps they will do precisely that. However, it’s time to look for a long term solution to the massive damage that the our current president has done to our Constitution and our republic at large. The solution is actually rather simple, and for that reason alone, it’s a safe bet that the GOP will ignore it and, once again, find a way of grasping defeat from the jaws of victory. What the GOP should do is to reflect on their election results of the historic midterms of ’10. They should embrace the very people who helped them win that landslide result. They should take a page out of Reagan’s book of going over the media’s blatant bias. They should embrace conservatism. They should reintroduce the US Constitution to the American public and explain the plethora of ways that today’s Democrats have subverted it, and trampled it’s significance into powder. ObamaCare is a great example of this, but there are many others. The 1st Amendment is under attack, as is the 2nd, the 4th, the 5th, the 9th, and of course, the 10th Amendment has all but been purged from the Constitution for all intents and purposes. The good news is that the GOP has a very deep bench with some great leaders that could roll back much what ails the country. True conservatism is very much in vogue with the Republican base. Rand Paul, Ted Cruz, Mike Lee, Marco Rubio, Trey Gowdy, among others are proof positive that voters want real conservatives to represent them. 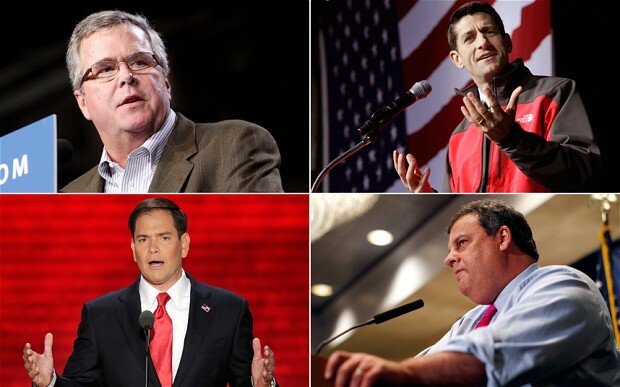 Yet for all the great talent that makes up the GOP bench, we are hearing ad nauseum about the inevitability of a Chris Christie or Jeb Bush nomination for 2016. The very people that propelled the GOP to wrest control of the House away from Nancy Pelosi, and her cabal of leftists, has now been all but ignored by the RNC and the GOP establishment. The Tea Party has been castigated by opinion writers and media hacks since those halcyon days of 2010, and now they are being thrown under the bus by the very party that should be embracing them. A deep bench is a great political asset, but no matter how deep your bench is if the coaches belittle and ignore the talent that resides on it then it’s meaningless. The GOP had better learn to embrace true conservatives or soon enough the GOP may well become the acronym for Gone Old Party.